AAA Intstallations has been installing hardwood flooring for over 8 years and been in the hardwood business for over 10 years. With impeccable quality we are recommended by a wide variety of the most respected hardwood flooring companies in the business and execute each hardwood installation with pride and class. We have worked on commercial hardwood flooring and laminate projects as well as private and custom projects from some of the top developers and world renowned professionals. These companies include: Adrea developments, Intercorp developments, architect Richard George Henriquez and members of the BC Lions. AAA Installations is known best for attention to professionalism and detail, and never leave a job until the customer is fully satisfied. Our hardwood installations always comply with the products guidelines as well as guidelines of the National Wood Flooring Association (NWFA). We are certified installers and willing to take on jobs of all calibre and timelines. 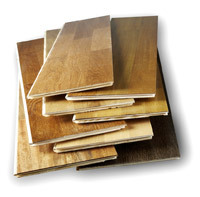 AAA Installations installs quality hardwood and laminate flooring throughout Nanaimo and Vancouver Island. Information on flooring is always free so call us with any questions on an installation or a problem with your old floor. We "wood" be happy to assist you! Our connections are not just in Nanaimo, but all over the Vancouver Island and the mainland.